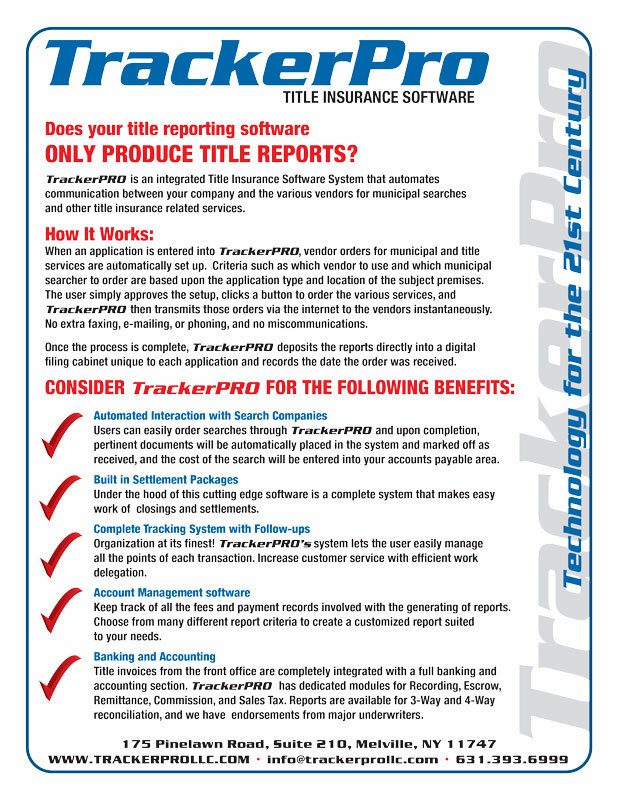 Since our first introduction to the title insurance industry in 2012, TrackerPro LLC has grown significantly in both size and expertise. What was once a single user application has become the most comprehensive paperless office solution in the industry that now supports the largest and most complex title abstract companies. TrackerPro was designed from the ground up to enable your company to adhere to the Best Practices as mandated by the American Land Title Association (ALTA). 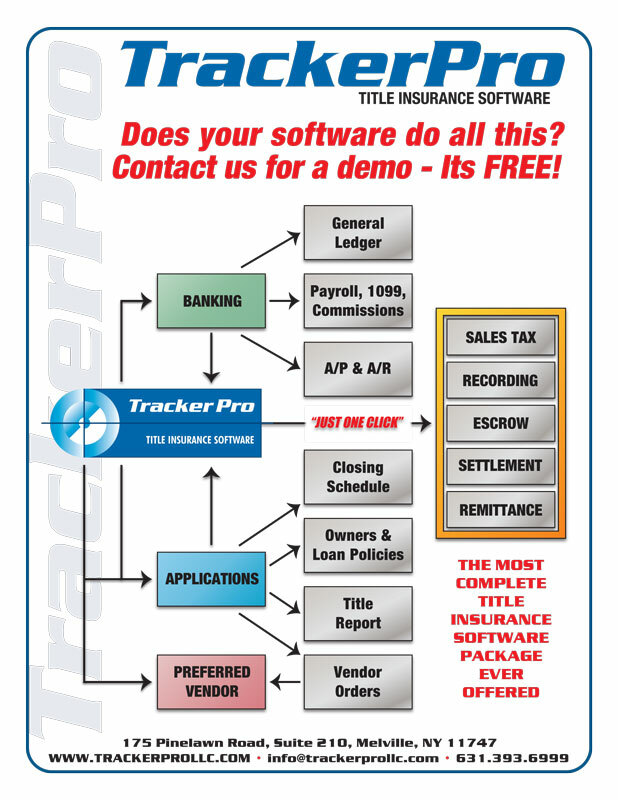 TrackerPro is an easily configurable software application that enables title insurance agents to automate the majority of their day to day manual time consuming tasks. From simplifying the process of placing and receiving orders, to daily reconciliation of financial systems, TrackerPro will substantially reduce the time needed for title production and accounting while improving accuracy and reducing costs. TrackerPro includes a fully functional, integrated accounting system, that tightly controls the flow of funds for your business. TrackerPro is easy to set up and is compatible with multiple office locations and remote employees. Additionally, the comprehensive security system allows administrators to adjust user permissions for different levels of access depending on each employee’s role. This provides tight security while establishing a segregation of duties as mandated by ALTA Best Practices.